We can ship you a coat in the styles and sizes of your choosing. You do have to pay the shipping charges which is $12.75 for one coat and $4.00 for each additional coat and you are responsible to return ship the coats. These sample coats, are being provided as “try on samples only” and may contain some fabric flaws, shading and/or embroidery errors. 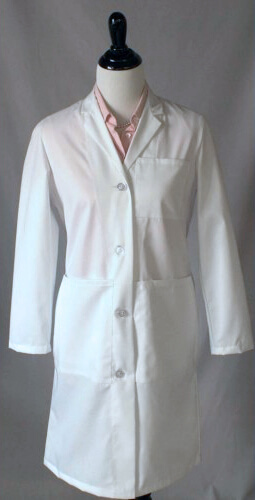 We allow 15 business days for you to make your selection of lab coats without charge except for the shipping costs. We do not do a hold or ask for a deposit. However, we will not ship any additional orders until the Try-On coats are returned. The coats may not be in any particular fabric type, however, we can send swatches of fabrics for you upon request.